Samsung has launched the Galaxy Tab Active2 in India. The ultra-durable tablet from Samsung is powered by Android and is certified by pretty much every certifying body that you can imagine would run a durability exercise on gadgets. However, it is a fairly dated product, having been announced globally back in November 2017. Nevertheless, its primary focus is on providing a portable computing platform in extreme conditions and is does so with ease. The Samsung Galaxy Tab Active2 has MIL-STD-810G certification of durability, which apparently provides physical protection against vibrations, accidental drops, rain and dust, and provides waterproofing of up to 1.5m water for 30 minutes. It can also withstand extreme operating temperatures, ranging from -20°C to 71°C. This makes it an ideal candidate for being used in applications such as specialised construction zones in remote areas such as the building of bridges in heavy snow terrain, or even for storing sensitive information in professional fields such as the army, both of which demand tough durability of a device. 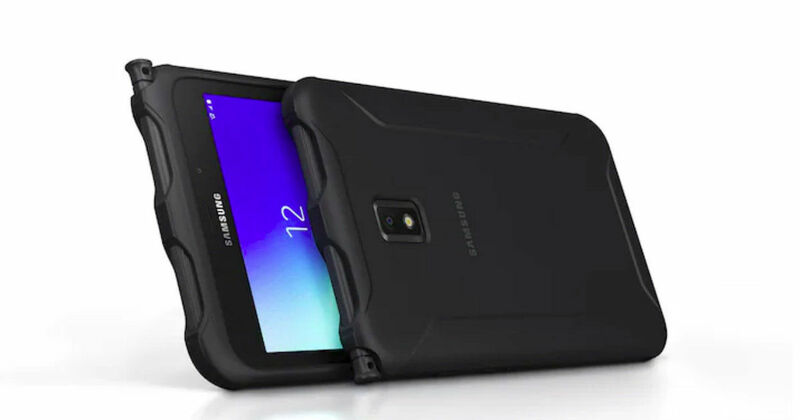 Going beyond its ruggedness, the Samsung Galaxy Tab Active2’s specifications include the Exynos 7870 SoC, 16GB native storage, 3GB RAM, an expandable memory slot, an 8-inch HD+ LCD display, 8MP rear camera, 5MP front camera, and a 4,450mAh replaceable battery pack. The Galaxy Tab Active2 was also named in Samsung’s initial list of devices eligible for the Android 9.0 Pie update, but has been removed from it in the subsequent list. As a result, it will only remain at Android Oreo in terms of firmware. The Samsung Galaxy Tab Active2 will be available for purchase from mid-March, and has been priced at Rs 50,990 in India.